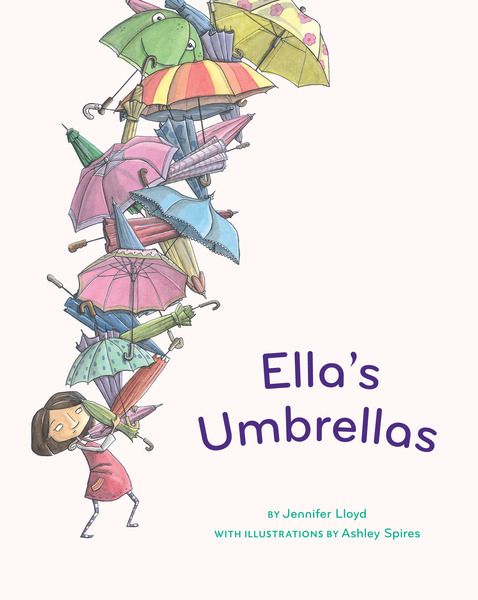 Ella has every umbrella under the rainbow from aquamarine to jellybean green. Her umbrellas fill up the entire house. 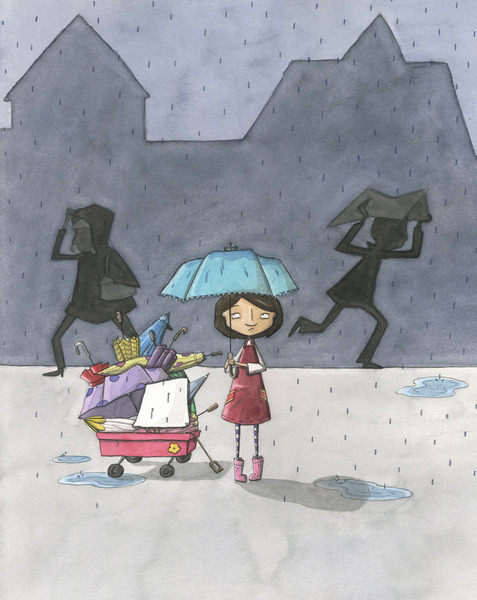 Aunt Stella from Katmandu is coming to visit and Ella's mom demands that Ella get rid of her umbrellas. But Ella wants to keep her precious possessions. Brought to life through rhythmic text and watercolor illustrations, this is the perfect book to cheer anyone up on a drizzly day.